Thanks to WarrantyVoider, Fob, and JohnP for getting me to where I am with modding Mass Effect 3. You think CEM, MEHEM, JAM, etc are kind of lame but you do use all of part of the Citadel DLC as your ending. It takes all Extended Cut endings and sends you from the credits and clicking the message from Bioware straight to the Citadel DLC apartment. Works even if you've started some of the Citadel DLC. Just like any other content, whatever you do in the game you can't replay, so save that party at least. 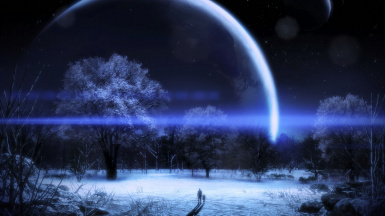 It takes the Citadel DLC goodbye scene to the splash screen of Mass Effect 3. This is to prevent any oddities due to how the game tracks plot files. There's an option to block the Citadel DLC from starting until after the credits if you want to be sure you play the entire Citadel DLC at the end. After getting permission from Faunts and Malukah and doing some work myself, the Extended Cut to Citadel DLC installer now offers music options. Original music (which starts with Das Malefitz in case you didn't know,) Reignite/Das Malefitz, and a pretty heavily edited M4 (Part1)/Das Malefitz. If you choose one of the new credits options, the destroy epilogue music is also changed to that of the splash screen music you hear when you start the game. In case you don't think the Citadel Epilogue Mod is dumb, this mod does fully work with CEM Full or Lite so if you head-canon some Extended Cut ending to work for you, have at it with CEM and this mod.